A MUST-SEE beautiful custom built home! Youâ€™ll love the scenic view from your spacious front porch. The great rm. boasts 17â€™ ceilings w/grand multi-pane windows, recessed lighting & cozy gas fireplace. The updated kitchen feat/ beveled edge quartz countertops, custom cabinetry w/pull out drawers, a lg. built-in pantry & subway tile backsplash. Fingerprint resistant GE appliances finish off the modern eat-in kitchen. The spacious 1st fl. master is complete w/ walk-in closet & a beautiful ceramic-tiled full bath w/Jacuzzi jet tub. The unique metal patio ceiling is retractable & easily operated by remote allowing for sun or shade leading to the fenced in backyard. Storage space galore!- 2 attics w/easy-access pull down stairs, & 2 separate lg. storage rms. Entertaining guests is a delight in the plush carpeted gamerm feat/recessed lighting & full bath. The lg. concrete driveway & 2-car attached garage leads to mud/laundry rm & provides ample parking. Conveniently located to Rt 28! Directions: Via route 28 N: Take exit 17 toward Butler/Freeport. Right on S Pike Rd. Left on Silverville Rd. Take the 2nd right on Doyle Rd. Take the 1st right on Woodbury Dr. Turn sharp right on Woodhaven Dr. I was searching for a Property and found this listing (MLS #1377852). 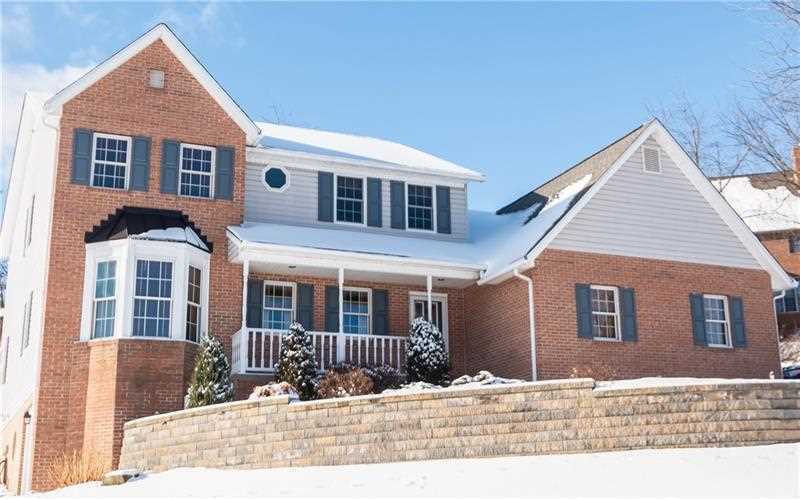 I would like to schedule a showing for 129 Woodhaven Dr Sarver, PA 16055. Thank you! I was searching for a Property and found this listing (MLS #1377852). Please send me more information regarding 129 Woodhaven Dr Sarver, PA 16055. Thank you! MLS # 1377852: This property at 129 Woodhaven Dr, Sarver, PA 16055 is located in the subdivision and is listed for $369,900. MLS # 1377852 has been on the market for 86 days.